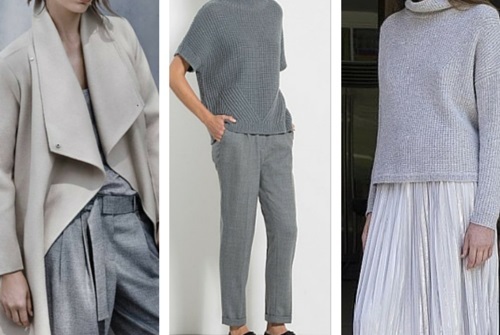 The biggest colour trend this Autumn and Winter is grey. Perhaps inspired by the "50 Shades of Grey" book and movie? There are indeed many shades of grey to choose from. From light to dark, and cool to warm. If you're ready to try a neutral other than black this season there will be one or more grey that will work for you -- often a more flattering option than black. A dominant trend theme is 1970s inspired Bohemian styles. If floaty Bohemian looks aren't your thing, perhaps the minimalist trend works for you better? The fashion trend in outfit silhouettes this Autumn and Winter is still towards larger shapes. This includes both more volume and longer lengths (in skirts and dresses, though some tops and pants are wide and cropped). 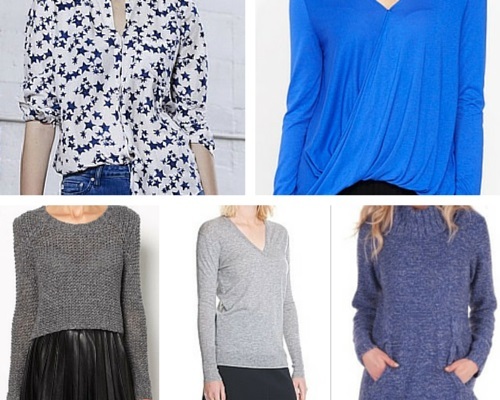 Outfit shapes include big and boxy as well as big and softly flowing. These themes represent the most dominant trends. However, the trend of a broad range of styles and themes continues. The key is to mix-and-match styles to create outfits that suit your appearance, personality and lifestyle. As mentioned above the '70s is a major trend this season. These styles are reminiscent of free-spirited hippies, and anti-establishment slogans. Think: long, flowing garments; creative layering, pattern and colour combinations; quirky slogans; and unusual jewellery. For example, flared trousers; softly flowing, longer length dresses and skirts; soft, Bohemian, layering; pops of colour; fun prints; and statement ethnic jewellery. Classic and elegant coats that will remain in style for years. Colours include grey and camel. There are still many styles of jackets as well. Both more formal structured styles and semi-formal softly tailored styles that are a cross between a cardigan and a jacket. Jackets are great for adding structure to an unstructured outfit and for giving authority to the wearer. 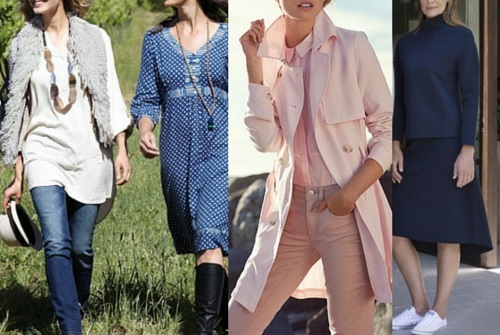 Last year longer styles cardigans and waterfall cardigans were hard to find. This season they're back again. 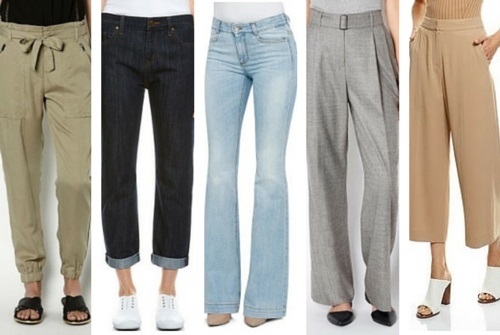 There far fewer skinny styles around (although there are sill some) the main trend is for roomier leg styles such as tapered, boyfried shapes, wide-straight legs; flares (very 70s); and cropped wide leg culottes. If your vertical proportion is not long legs, short body and if you are at least average height the wider leg styles can be very tricky to pull off without you looking dumpy (be warned)! The cropped versions are particularly tricky. A way to make them work is to wear heels and to create the illusion of continued leg flow, inspite of the tricky length. For example, wear boots, with at least a small heel, in a similar colour, or colour value as your pants, that go under your pants with no gap. There are many choices of textual interest again this Autumn and Winter. 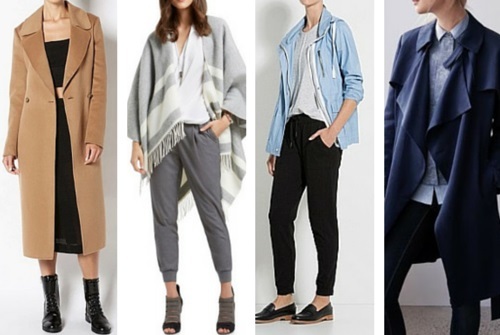 Great if your best colours are Cool and Muted (aka Summer), or Warm and Muted (aka Autumn). The blue denim everything trend continues: jeans; skirts; dresses; shirts. Fringing is a 'look at me' version of texture that will suit you if you like a bit of textual drama or flamboyance in your outfits. And can work for all colourings. Look for a touch of fringing on accessories including shoes and bags, or fringing as a bigger statement embelishment on jackets, dresses and skirts. 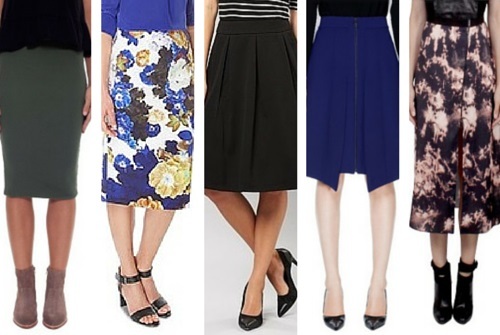 Need Help Updating Your Wardrobe? For help updating your style and your wardrobe this season see this article. Scroll to the bottom of that page to request an initial complimentary phone or Skype consultation.